Discussion in 'Wheel of Time Discussion - Books 1-8' started by Slynese, Sep 8, 2012.
Who is your favourite character in book 1 to 4? Hmmm, kind of a hard call, but I am feeling...Egwene. Egwene is my favorite of the girls right now. As for the boys so far I would have to go with Perrin. Nynaeve, I think. I've just started re-reading EotW, so maybe I'll find a new favourite. Perrin is by far my favorite character of the first four books. Once you get past them, the answer changes a bit. Nynaeve and Lan, and I doubt that'll change. "Enlightenment is man's emergence from his self-incurred immaturity." Both of them are so cool. 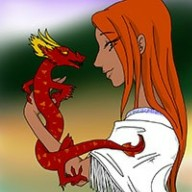 I ship Nynaeve and Lan as a couple. Silence is madness. Tic tac tic tac says the clock. I won't be able to online that much. I'm taking a big exam at april, need to study. I didnt like her in the beginning but Nynaeve has started growing on me as I'm reading along. I'd have to go with Perrin. He seems the least impulsive of the bunch. That, and I keep telling my wife that I'd be a blacksmith if I lived a couple hundred years ago. Moiraine . You have plenty of reasons in the first four books, and when you get to ToM you'll have even more. Yeah...I have to say it is tied between Rand, Lan, and Perrin. I prefer swords myself...but blacksmithing and the like are a huge interest for me. Go Tempering Colors! Same here but Rand is the one that i like from the beginning. I dont like Mat that much though nor Perrin. Mat can be fun sometimes(I dont like his deny to being Taveren. You're taveren deal with it.) but Perrin is boooring. In each book it changes. At first it was Rand, and I hated Mat. Then it was Perrin and I hated the girls. Now its Perrin and Min. And I know in a few books it changes to Mat because well... its bloody Mat! I have read, well listened, to the series a couple of times now. My favorite male character is Perrin. I tend to like males that look and act like Perrin. A lot of people dont like him because he is "whinny" but he has a great big heart and is very loyal to his friends. I think that if more people would sit and think about their actions like Perrin does then there would be a lot less crazyness in the world. Now onto my favorite female character which would have to be Aviendha. She is a great example of an Aiel. I have always liked the parts with Aiel in them however I have always been particularly fond of Aviendha. She is quick to learn, will help protect people she has just met, and likes to experiance the world. Rand all the way, (though I have only read the first two books). Talk about putting a bunch of different, unique elements in the same person to get someone you couldn't get anywhere else. Aiel blood, country/humble roots, a heron-marked blade, Warden combat training, and the ability to channel! There isn't anyone else like Rand from Tear to Saldea. Mat Cauthon. Quick witted, fun loving, gambler. Hes never looking for trouble but if it finds him he knows how to handle it. Even though he is reluctant to jump head first into danger he will not abandon his friends or break an oath. With his knowledge of war and battle tactics he is possibly one of the most valuable weapons in the battle against the shadow. Son of Battles. Unusual choice perhaps in Siuan but I always found her so easy an enjoyable to read, particularly in TSR after the coup. Mat is definitely my favorite in later books, but in the earlier ones, I'd said Faile. Nynaeve is my favorite in the first four books. She's so stubbornly loyal, I love it! Siuan Sanche. I love just how she is, strong and forceful. Commited to her goals and look out any and all who get in her way. Even in the later books she is one of my favorite, her and Verin.